The figure shows right triangles ABC and ADC, angle ACB = 2.angle ACD, and DE perpendicular to AC. Prove that AB = 2DE. 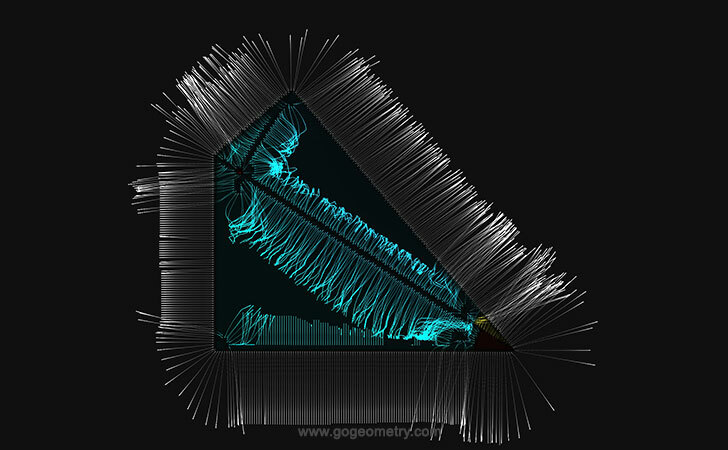 Art of Geometry Problem 17 using Mobile Apps. Light Patterns.